I have previously discussed how to use a Windows based computer to write in Japanese and Chinese. The time has come to tackle the next of the Asian languages, Vietnamese. As before, the same disclaimer applies. The information below is what I was able to figure out based on information primary from Google and Wikipedia. Some or perhaps even much of it may be incomplete but it does appear to at least be logically consistent. At first I thought typing in Vietnamese would be considerably easier since the language at first blush appeared to use the Roman alphabet, just as English does. 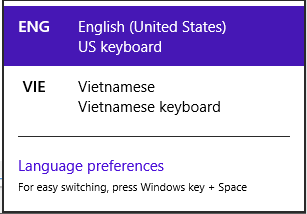 Therefore, I expected it to be as simple as “Select the Vietnamese keyboard and start typing”. As I started researching however, I found this was not the case at all. The first thing that will probably jump out at you is that all of the numeric digits on the keyboard have been replaced with special characters along with the open and closed square brackets, dash and equals keys. Why is that? 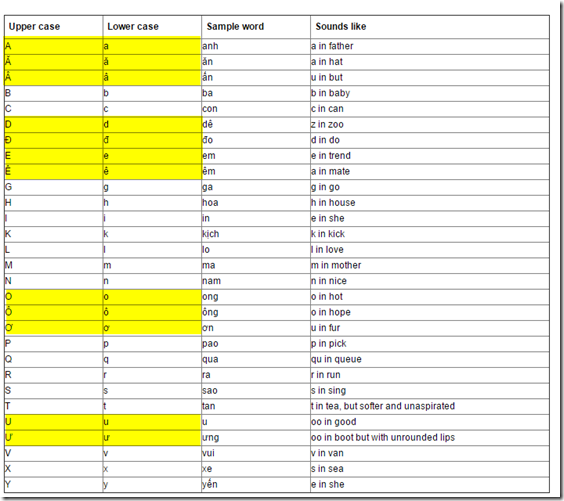 To understand this, we’ll have to look at how the Vietnamese alphabet is constructed. Notice the absence of the English letters f, j, w and z. These letters are not found in native Vietnamese words. Vietnamese makes extensive use of diacritics, or the special accent characters found on the base letters. 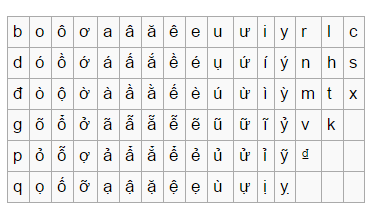 In fact, many base letters in Vietnamese can be modified with up to two diacritics at once. The accent characters themselves help to define the tone of the word. 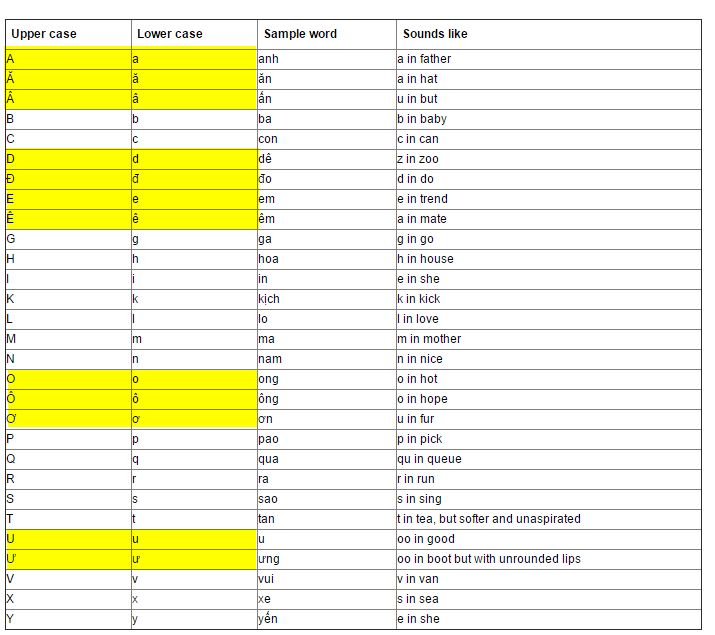 In English we might differentiate the sounds of the words ‘beat’ and ‘bet’ by introducing more vowels. In Vietnamese they accomplish this through the use of diacritics. The advantage this offers is that words themselves are typically much shorter than their English equivalents. Here is an example of the comparison in action. Below we have the opening paragraphs of the Wikipedia pages from the English and Vietnamese sites. Noting that the English entry includes double digit character long words such as ‘inhabitants’ and ‘reunification’. In Vietnamese however, this is broken down into smaller chunks where each word itself is typically no more that 3 or 4 characters long. In order to write this language on an English keyboard, you’ll need to take advantage of the built in Windows IME (covered in more detail in my Japanese HOWTO). 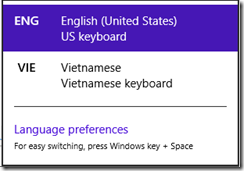 There are several different input systems that have been devised for Vietnamese, the two most popular appear to be “Telex” and “VNI”. It seems that the two systems have developed different followings within Vietnam itself with the Northern part of the country adopting primarily the Telex system while the South has popularized the VNI system. It appears that Microsoft, for both Windows 8 and Windows 10 have only included native support for the VNI system so that is what we are going to demonstrate here. 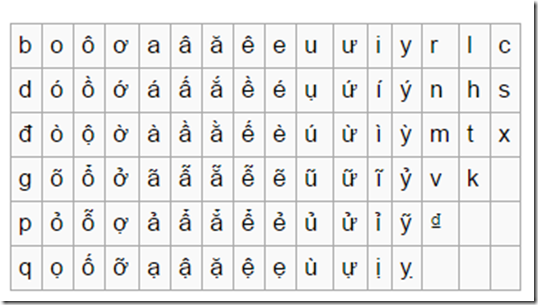 1 – 4 have been replaced by the Vietnamese vowels ă, â, ê and ô respectively. 5-9 have been replaced by the tone marks, 0 has been replaced by đ and [ and ] have been replaced by ư and ơ.
Tôi muốn tìm hiểu để viết tiếng Việt. That certainly seems a little unusual but really no more so than than input methods demonstrated for Chinese, Japanese and Korean. I’m sure once you got the hang of it, it becomes second nature. Heck even through the course of writing this HOWTO, I found I could type the phrase above increasingly without hesitation. 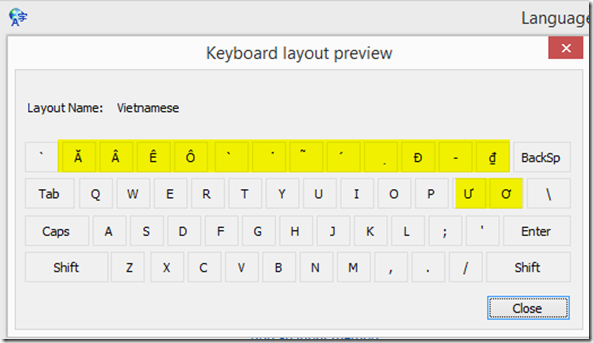 That’s now all I know about typing in Vietnamese on an English keyboard. I hope you found this informative. This is the symbol for the Dong, the Vietnamese currency symbol. This is akin to the $ in English, ₩ in Korean or the ¥ in Japanese and Chinese. It goes to show you how often we write about money and the patriotism and pragmatic differentiation that is wrapped up in every language that chooses to devote an entire precious physical key in the limited list of keys to assigning their unique currency symbol.